If you want a doctor who provides personalized attention and always has time to talk to you about your concerns, time to get to know you and your family on a personal level, consider a concierge medicine program. 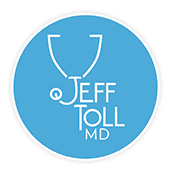 From his Los Angeles-based practice, Jeff Toll, MD, offers concierge medicine services on an annual or monthly basis for patients who want more personalized, patient-focused care. Call or schedule a consultation online today to learn more about Dr. Toll’s concierge service and see if it’s right for you. Concierge medicine is a healthcare membership program where you pay a monthly or annual retainer for all-inclusive access to Dr. Toll. You have 24-hour access to Dr. Toll, including a cell phone number and email, telemedicine services including virtual appointments via the EVisit® app, and access to same-day appointment scheduling. All visits whether in person or online are free with the annual membership. Additionally, Dr. Toll sees his own inpatients at Cedars-Sinai Medical Center, so you will not be seen by a hospitalist doctor who does not know you and your family. An average primary care provider has between 2,500-3,000 patients and, as a result, often needs to see 20 or more patients every day. This means that you have short appointments and often run out of time before you have a chance to ask questions. However, Dr. Toll sees a limited number of patients to ensure he’s able to spend enough time with you and have a comprehensive understanding of your health needs. He makes it his priority to provide the treatment and attention you need. In addition, he provides holistically-focused preventive care to improve your overall health and wellness. What’s included in concierge medicine? When it comes to booking appointments and getting information and advice from Dr. Toll and his team, you’re treated as a valued member of his clinical family, receiving prompt return calls and priority access to appointments. Everyone wants to feel like their doctor prioritizes their healthcare, and while every doctor gives their patients their full attention, they’re often limited by time. Concierge medicine ensures you have sufficient time with Dr. Toll so can both work together to implement changes to your daily habits and healthcare. Concierge medicine focuses on preventive care and improving your wellness, reducing your risk of serious chronic health conditions and the need for interventional medicine. Ultimately, when you participate in a concierge medicine program, you’re investing in your health and wellness. Dr. Toll will quarterback your health care team, and always is involved in discussing your case with all the specialists involved, so that there is never anything lost in translation. Call or schedule a consultation online today to learn more about Dr. Toll’s concierge program.